Comrade knows that a company’s website is the focal point of their presence online. It speaks volumes about a company’s brand, and it inspires website visitors to take a specific action. 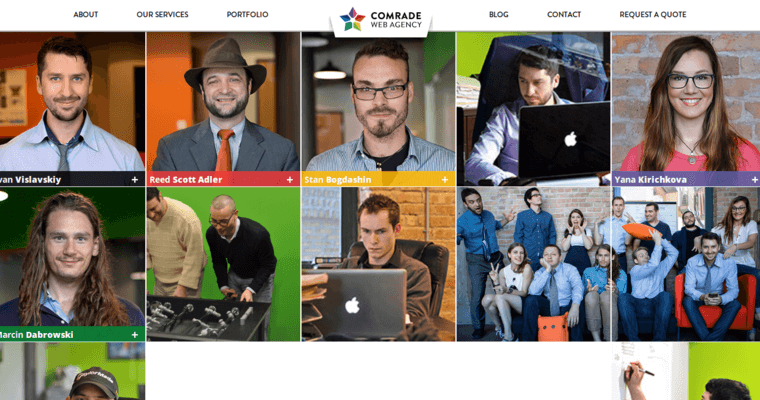 Comrade is a design agency that helps clients turn their website into a destination that attracts quality leads. When visitors land on a website, it only takes five seconds for them to make up their mind if they landed at the right destination. If they are not encouraged to remain, they will leave and may never return. 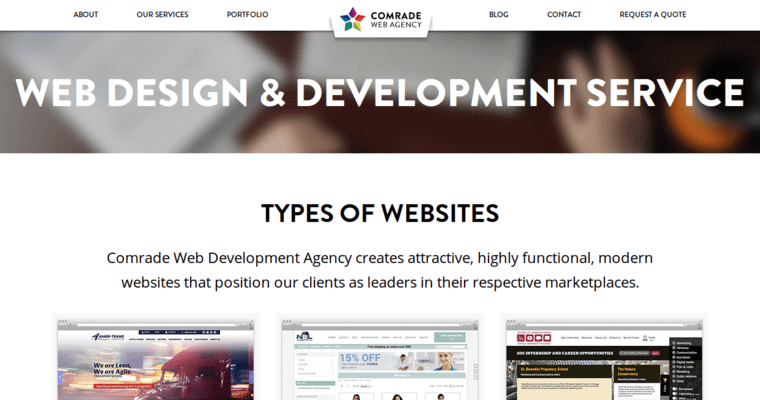 Comrade designs sites so that a client’s brand speaks volumes to its customers. A main strength of Comrade is its ability to address diversity. Every client has a different base. Comrade helps their clients to identify and market to the ideal prospect. Then, they can help create and implement marketing strategies that help drive traffic and conversions.